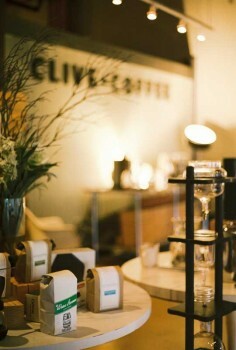 Clive Coffee might seem to be a misnomer in this coffee series, for it is not a café. While Clive does have a small selection of their own quality roasts, their primary focus is their retail shop and online business. Clive showcases a revolving line-up of beans by the pound from top Portland roasters, and they give equal measure to everything else for the home coffee and espresso enthusiast. 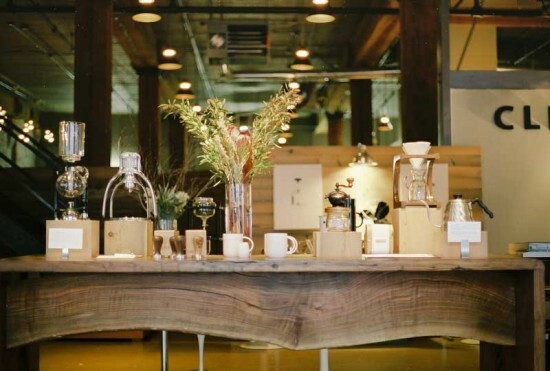 These aren’t your standard department store espresso and drip machines. 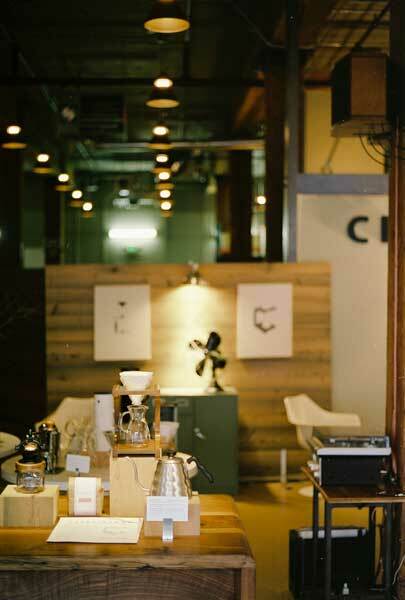 Clive is meticulous about providing what they consider to be the best of the best in equipment, from a line of classic Chemex and Hario glass makers to Clive’s own specially designed “pour over stands”. Espresso machines at Clive highlight an obsessive attention to detail and design: they spend a lot of time reviewing and testing models to assure their customers are getting machines that provide the correct amount of pressure, the right temperatures, and that won’t break down every few miles. The range varies from a Rancilio Silvia V3 Espresso Machine for about $600, up to the Lamborghinis of home espresso makers such as a La Marzocco GS/3 Espresso Machine for over $6000. Accessories include items such as well-chosen scales, filters, dampers, vacuüm pots and cold brew makers. Clive’s custom line of handmade cups made by Portland’s own Pigeon Toe Ceramics are exclusive, while other well-made and often hard to track down serving items and cups by Tampopo, Stelton or Inker are also available. Clive is on a mission to provide a deep and detailed education on coffee, espresso and techniques for home consumers. They offer many consumer level classes in everything from home espresso making, to their own how-to instructional videos. The information on the coffee offering section of their website is outstanding: divided by type, origin, roaster and other categories, it’s a virtual encyclopedia in coffee and espresso, and a wonderful resource for anyone looking to learn more about coffee and Portland’s coffee roasters in particular. Clive also offers coffee service for businesses, cube workers and their bosses, who would rather strike than face a morning of burnt commercial drip. With all their offerings and this level of quality, Clive is a special shop on both a local and national level, and is a wonderful complement to our city’s roasting and coffee obsessed community. Category: Coffee, Portland Coffeehouse Guide. 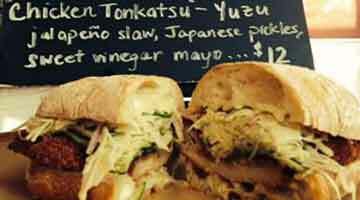 Previous Post: « Meriwether’s Restaurant Meltdown? had no idea they are a roaster as well as cafe. Just picked up a bag from Clive this weekend (after a great lunch at Boke Bowl)- the Ecocafe/Haiti beans. Delicious stuff. Made a great pourover this morning. And James, they are NOT a cafe, they sell high end coffee equipment/accoutrement and they roast… Fun place to browse and buy, but if you want a cafe, go next door to Water Ave. Coffee.